"This one isn't just for Honor, it's for you." 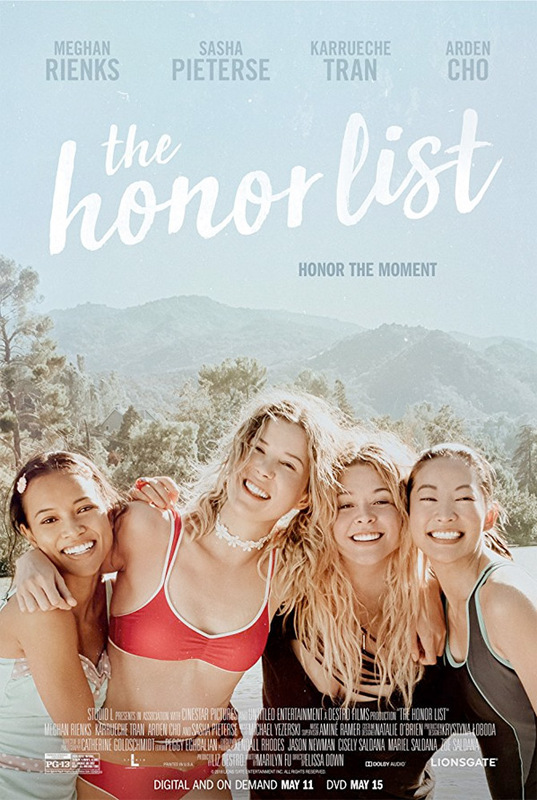 Lionsgate has debuted an official trailer for indie coming-of-age drama titled The Honor List, from Australian director Elissa Down (Pink Pyjamas, The Black Balloon). The Honor List is about four friends who, before high school, were besties, but by senior year they wouldn't even speak to each other. When tragedy strikes, they bond over a list they have to complete together. It's a bittersweet film that "explores the complexities of friendships, family, love, loss, and high school." It's also a film "made by women for women", with over 60% of the crew being women. This stars Meghan Rienks, Karrueche Tran, Arden Cho, and Sasha Pieterse. It looks like a meaningful, empowering film for all. The story of four friends and a bucket list. The summer before high school, Piper, Sophie, Isabella, and Honor are inseparable; by senior year, they barely speak. When tragedy strikes before graduation, the former best friends reluctantly put their differences aside and reunite to complete a forgotten bucket list. The Honor List explores the complexities of friendships, family, love, loss, and high school. The Honor List is directed by Australian filmmaker Elissa Down, director of the films Pink Pyjamas and The Black Balloon previously, as well as a number of short films and TV work. The screenplay is written by Marilyn Fu. Lionsgate will release Down's The Honor List direct-to-VOD starting on May 11th this summer. Interested?